The week has been pretty busy in non-Khadr related news. Alex Hundert is having his rights quashed and I can't for the life of me understand why the media and the public don't think it's a big deal. If they can do this to him they can do it to any of us. 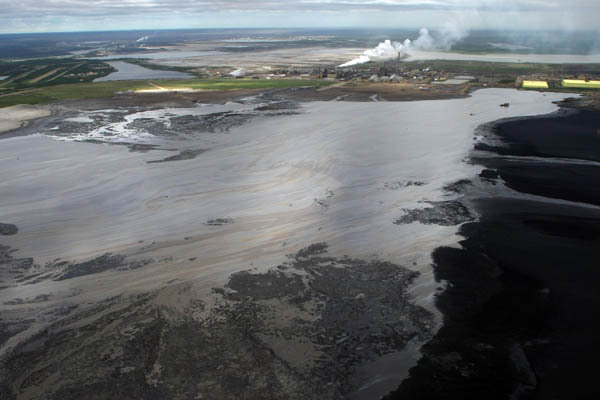 Shortly after paying a $3 million dollar fine for being responsible for killing 1,600 ducks Syncrude's tailings ponds lakes are once again the cause of waterfowl deaths. No doubt we can expect another Syncrude/Government PR campaign to explain to us how it's all getting better and gonna' be fine and not to worry our pretty little heads about it. So far as the WikiLeaks documents are concerned the foreign presses are doing a better job of digging through the revelations contained therein. Predictably, Fox news is howling that WikiLeaks is the enemy and should be treated as such. They are enemies of the warmongers exposing the war crimes of the US and highlighting the slaughter of innocent Iraqis, so in a twisted way they have a point. As for those war crimes, the US says they are not responsible for what the Iraqis do -- even though they are American trained. The British military has also been training interrogators in techniques that include threats, sensory deprivation and enforced nakedness in an apparent breach of the Geneva conventions. Those WikiLeaks documents on Iraq and the new political alignment between Moqtada al-Sadr and Iraqi Prime Minister Nouri al-Maliki both provide fresh evidence that Gen. David Petraeus’s war against Shi’ite militias in 2007-2008 was a futile exercise. A CNN interviewer asked enough stupid questions to cause Julian Assange to walk out on the interview. You'd think the confirmed deaths of more than 100,000 Iraqis as well as evidence of widespread human rights abuses and torture would supersede any interest they might have in the recent charges that have been leveled at Mr. Assange. You'd be wrong. The great people over at Boingboing.net noticed most members of the establishment MSM avoided the word torture at all costs so they came up with a torture euphemism generator -- i.e. invasive submersion evaluations.